Everyone in the group should have the same model of radio. It makes logistics of accessories such as microphones and batteries easier. 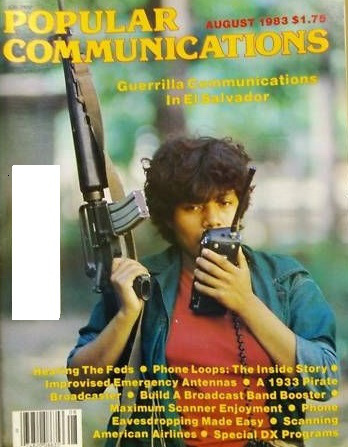 Radio model should have readily available accessories. Radios should be rugged enough for heavy field (ab)use. Radios should be capable of operating off of common alkaline batteries. Most HTs capable of doing so will take either AAs or AAAs. Radios should be able to run on 12V DC, either directly or via an adapter. Radios should be frequency agile, or front panel programmable. Ham HTs are. Most commercial LMR HTs are not unless they are specifically mentioned as being FPP. Amateur radios should have fairly easy “MARS/CAP” extended frequency coverage modification. Your mileage may vary. Radios should preferably have a BNC or SMA type antenna connector, for ease of attaching gain-type antennas. This is not a problem with ham HTs. Many commercial LMR HTs will not. The Idaho PatCon dates have been set, so mark your calendars and schedule your vacation! Be sure to bring your kids, and well-behaved pets are welcome. If your dogs have attitude, make sure you can keep all the animals in attendance safe. We will have scheduled events and training on Thursday the 23rd through Sunday the 26th. Feel free to arrive Wednesday (or earlier) and head out Monday the 27th (or later!) and enjoy the beauty and serenity of the Redoubt with fellow Patriots. Schedule your summer vacation around the PatCon and explore the Redoubt. Hike the mountains. Fish the St. Joe’s and Lake Coeur d’Alene. Bring your water toys, 4-wheelers, and trail bikes. Take advantage of the small shooting & archery range at the PatCon site. We intend to have an assortment of tactical and prepper gear from high quality manufacturers so you can T&E (Test & Evaluate) their products. Enjoy the company of fellow Patriots as we train during the days and share the fire at night.